I'm ba-ack! From the first two thirds of book tour and for less than a week before Phoenix Comicon starts, but back I am. And boy, do we have a LOT that's been going on. So let's get right to it, shall we? We shall! First up, book tour has been great so far. But I know many of you couldn't make it. So, here's a listing of ALL the places where you can currently find the bookie wookies all signed and waiting for you. Mysterious Galaxy in San Diego, CA where they will also ship to you anywhere in the world. I got to sign with new author Steve Pantazis, who also joined us for Food With Fans and who is a totally cool dude. Barnes and Noble in Henderson, NV (567 North Stephanie, Henderson, NV 89014, 702-434-1533). All three Barnes and Noble bookstores in Henderson (Rainbow Promenade, 2191 N Rainbow Blvd., Las Vegas, NV 89108, 702-631-1775 and Crossroads Commons, 8915 W. Charleston, Las Vegas, NV 89117, 702-242-1987 ) will have signed copies of the Alien series, BTW. However, only this main one will have signed copies of all the other bookie wookies (including Two Hundred and Twenty-One Baker Streets, and read on for why that matters a lot) as well as signed books from awesome authors T.L. Smith, Alan Black, Sharon Skinner, Marsheila Rockwell, and Jeff Mariotte. Bookstar/Barnes and Noble Point Loma (Loma Theater, 3150 Rosecrans Place, San Diego, CA 92110, 619-225-0465). This bookstore is a converted movie theater and it is da BOMB in terms of both its staff and it's architectural design both inside and out. You HAVE to check it out if you're anywhere close to Point Loma, signed bookie wookies or no signed bookie wookies. This was, hands down, the coolest bookstore we saw on the trip. Tell the staff Gini sent you, BTW -- they were totes excited to have me drop by and are incredibly nice folks. Barnes and Noble Hazard Center (7610 Hazard Center Dr Ste 315, San Diego, CA 92108, 619-220-0175). Barnes and Noble Yuma (819 W 32nd St, Yuma, AZ 85364, 928-317-1466). Barnes and Noble Oceanside (El Camino North Shopping Center, 2615 Vista Way, Oceanside, CA 92054, 760-529-0106 ). Say hi to Rachel if you go in there and ask her how she liked Touched by an Alien. Barnes and Noble Irvine Spectrum (Irvine Spectrum Center, 728 Spectrum Center Drive, Irvine, CA 92618, 949-585-0233). Barnes and Noble at the Grove at Farmer's Market (189 The Grove Drive Suite K 30, Los Angeles, CA 90036, 323-525-0270). By far the most "Celebrity" of all the bookstores, but staffed with truly nice and competent folks. It was the largest bookstore we saw (three gigantic stories) and it still managed to be welcoming. Barnes and Noble Canyon Country/Valencia (Creekside Place, 23630 Valencia Blvd., Santa Clarita, CA 91355, 661-254-6604). I'll be hitting stores in the Greater Phoenix Metro Area over the next few weeks, but if you're here, you know you need to see the me live, up close, and in person at Phoenix Comicon, May 28-31, Table 14133, and/or at The Poisoned Pen on Monday, June 8 at 7pm. Prizes and goodies will be provided at the Pen, and we'll be broadcasting the event live via LiveStream so this is the way all of you who aren't nearby can see the me and join in the fun and prize winning! BTW, you can register for the LiveStream event now, so that you get a reminder alert and such and don't miss it. Hey, I'm a giver, me. 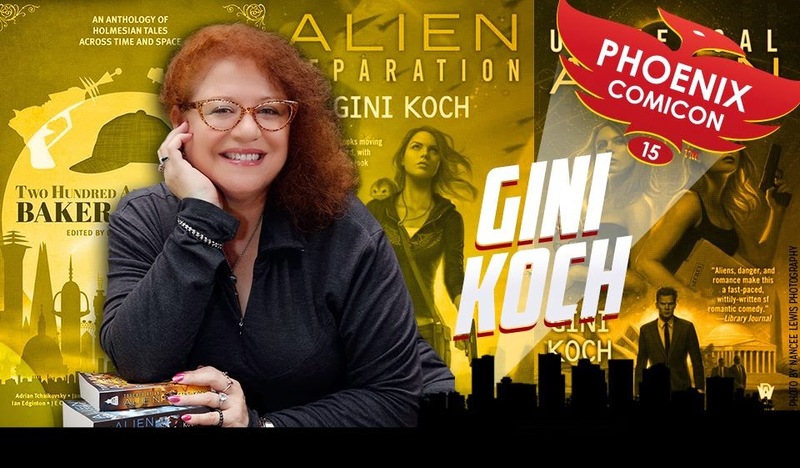 For those who always come to the annual Phoenix Comicon Food With Fans event, that will be on Friday, May 29th (outside the con, no PCC badge needed), and the Evening Erotica event will be on Saturday, May 30th (con badge required). We will most likely be sending out FWF updates via Facebook and Twitter so follow moi (@GiniKoch), Joseph (@jag4a), and/or Team Gini (@RealTeamGini) for Twitter updates, and friend moi, Joseph Gaxiola, and/or Kelsey Rowe on Facebook to stay abreast of all the deets. Took pics of moi or the bookie wookies during book tour or just whenever? Taking pics of moi or the bookie wookies at PCC or whenever? Send 'em to our Super Sightings Girl Kelsey (kelsey@ginikoch.com) so she can get the up onto Sightings in the Wild! And now it's time for that big announcement I've been mentioning that you've all been waiting for. (You have, I promise, you have.) Check out what Abaddon Books has just announced -- that's right, more Holmes stories, including a new one from moi! 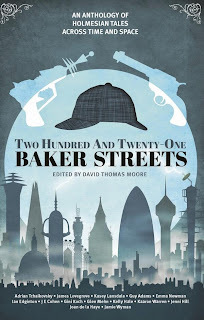 Get ready for the Two Hundred and Twenty One Baker Streets B series! My novella, "A Study in Starlets", is coming later this year! Speaking of announcements, check out one of the two awesome covers for the MECH: Age of Steel anthology coming soon to Kickstarter from Ragnarok Publications. This cover image could be for my story, "Jaegermeister", writing as J.C. Koch, though it isn't (my story gets a two page illustration spread, though!) 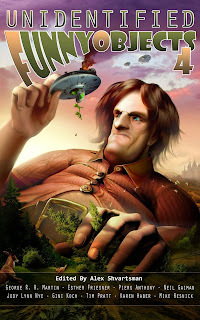 and there will be tuckerizarions available and, trust me, you WANT to be in this story of mine (or in any of the others that will be available). So, keep the eyeballs peeled for when this Kickstarter will go live (later in the year) and start saving up now! Not sure about getting in on a Kickstarter? 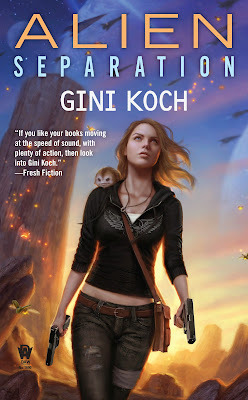 See what SFF Audio thought of the audio version of Ragnarok's first book, Kaiju Rising: Age of Monsters, which includes my short story, "With Bright Shining Faces", written as J.C. Koch. 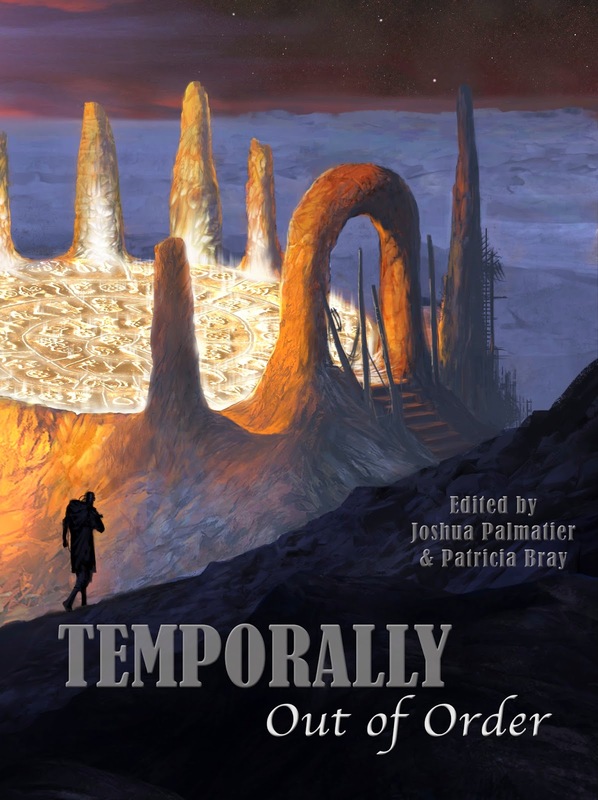 Speaking of announcements, the Table of Contents is up for the Temporally Out of Order anthology! You can also click through from the TOC announcement to get to the Zombies Need Brains page, where you can still pre-order this puppy! This is the anthology that has "Alien Time Warp" in it, which takes place during Alien Separation. So you know you need it. The DAW Books Review has all the new DAW releases for May listed -- gotta get 'em all! --and they also has a discussion about Alien Separation started as well. Have comments, theories, or just want to share what you think? Do it here! Speaking of Alien Separation, we have a lot of reviews in. So, check out what, in no particular order, these reviewers all thought of it: Under the Covers, Just Talking Books, Feeling Fictional, Word of the Nerd, Book Girl of Mur-y-Castell, Books in Brogan, Literary Addicts Book Community, Musings and Ramblings, La Crimson Femme, Alternative Worlds II, and Gizmo's Reviews. 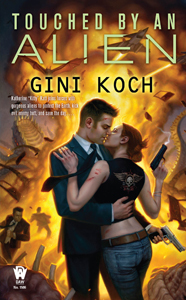 Books 'n' Kisses features the Alien series for its SINsational Saturday Series, About Entertainment lists Little Known Keeper Shelf Books which includes a certain series ;-D, and Fresh Fiction talks about Genre Blending, highlighting the Alien series as well. On a very personal note, we lost two of the Members of the Alien Collective in Very Good Standing while I was on tour. Janet Rhudy lost her fight with ALS/Lou Gehrig's Disease, and Robert Palsma's mother, Mary, lost her battle with leukemia due to a variety of complications. Please send good thoughts out to their families -- both were wonderful ladies and will be sorely missed. Amazingly enough, that's all for today. And the past two and a half weeks. But, as always, more's on the way. You have a few hours to get entered for the contests going on -- one here at the Blah, Blah, Blah Blog (just look at the post below this one) and one for Hook Me Up! subscribers only. (Not on Hook Me Up! yet? Rectify fast by sending an email with "Hook Me Up!" in the subject line to gini@ginikoch.com.) Both contests end at midnight tonight. Winners will be announced next week. Prizes will go out after Phoenix Comicon, so sometime in June. So, everyone have fantastic weekends and let's be readers out there. Peace out, my li'l gangstas, and I'll catch you on the flip side! Happy Monday! Hope everyone had a great week last week and an even better weekend. We have a lot going on, starting with my leaving for Book Tour and other events very soon, so let's get to everything...including something you've all been waiting for! Mysterious Galaxy Bookstore, Mysterious Galaxy 22nd Birthday Bash, Saturday May 9th from 11am-5pm. I'll be on at 2pm, which is right after the cake! Food With Fans will happen immediately after the party is over. 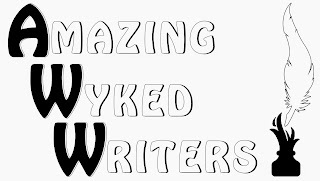 Barnes and Noble Henderson, with the Amazing Wyked Writers, Sunday, May 17th from 1pm-4pm. Come hear six cool authors -- moi, T.L. Smith, Sharon Skinner, Alan Black, Marsheila Rockwell, and Jeffrey Mariotte -- talk about all things writing and get a whole lot of books signed! Food With Fans will happen immediately after the party is over. Phoenix Comicon, Thursday, May 28th through Sunday, May 31st. I'll be in Author's Alley, the AWW Tables are #s 17115, 17117, and 17119. There will be a cool basket of goodies some lucky winner will walk away with! Food With Fans will be on Friday evening, May 29th, and the Evening Erotica event will be on Saturday evening. I'll also be at the Steampunk Tea Room and on panels. My full schedule (ever changing as the con gets closer) and every other author's attending is on the Authors Page at the con site. 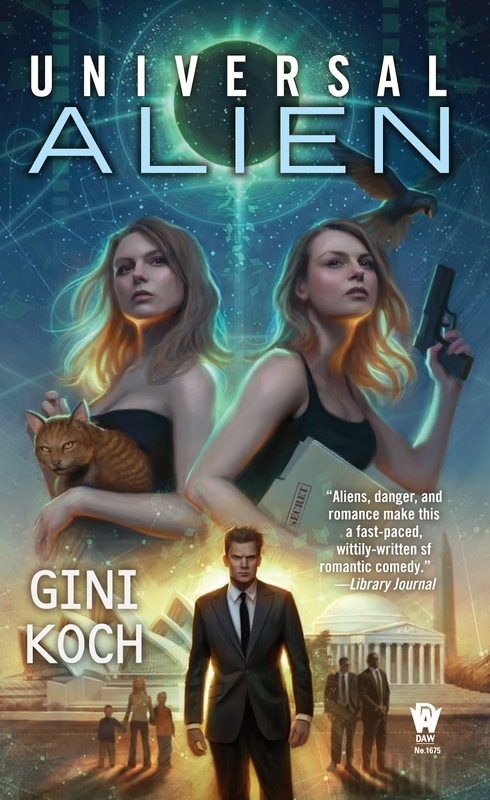 And now, let's check out some reviews of Alien Separation, just to get you all ready for tomorrow's release day! See what Pearls Cast Before a McPig, Tome Tender, Bibliognome, and boeklogboek thought of it. Warning: the boeklogboek review has some early-in-the-book spoilers in it. Then check out Bibliognome's favorite lines from the book (spoilers are hidden). 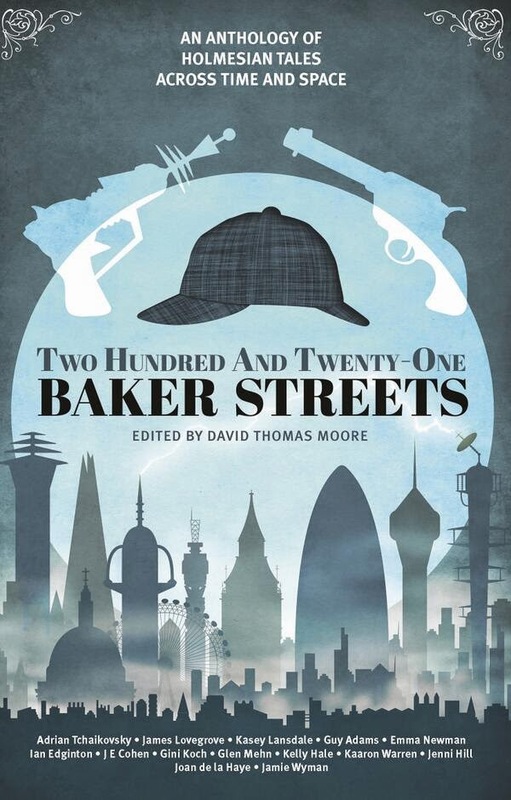 Then see what Rich's Random Book Blog thought of Two Hundred and Twenty-One Baker Streets. And if you need more reading ideas, see what Science Fiction by Mr. Valentine has listed coming out this month. And Penguin Random House has the info up for Alien in Chief! No, no cover yet -- I just gave Dan some details last week so it'll be a while before that cover gets to premiere (though it's never too early to pre-order, hint hint, ;-D). 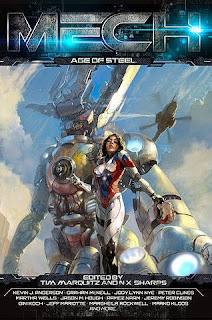 After that, head over to Slice of SciFi and see what I thought of The Avengers: Age of Ultron. And now for some science! First up, stay at Slice of SciFi because T.L. Smith has asked five friends, including moi, about FTL travel. After you see what we all have to say about it, check out Raw Story where NASA talks about their latest warp drive tests! And now, what you've all been waiting for. That's right, it's giveaway time! And for longtime Hook Me Up! subscribers, we're trying things a little differently this time. (Oooh, the excitement!) There are two contests, one for Hook Me Up! subscribers only, and one here at the Blah, Blah, Blah Blog. The one for Hook Me Up! subscribers only is for signed copies of Alien Separation. The one here (below the signature line) is for a signed copy of any one of the first ten books in the Alien series. Yes, Hook Me Up! 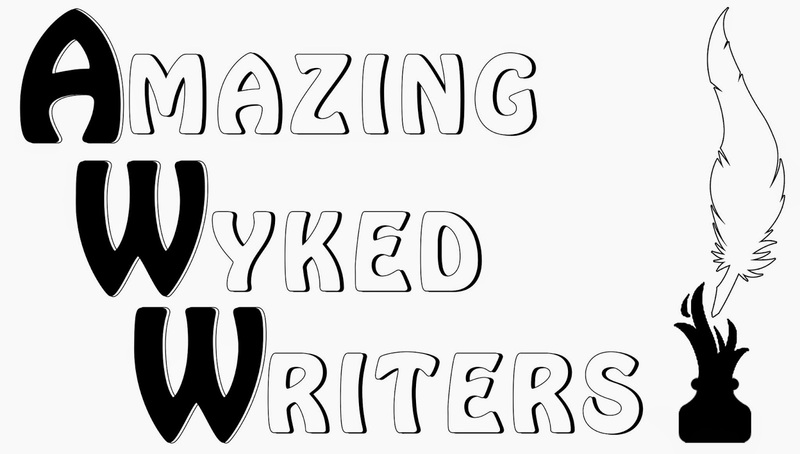 subscribers can enter both contests, but if you're not on, you can only enter here at the Blog. So, if you're not on Hook Me Up! now might be the time to get in gear and send an email to gini@ginikoch.com with "Hook Me Up!" in the subject line. You'll get in with the in-crowd and have the Alien Separation contest link sent to you. Both contests are open internationally, both have multiple ways for you to get extra entries, and both will run from today through Friday, May 22nd. So get those entries going and good luck to everyone! That's it for today, and while more's on the way, it's unlikely that I'm going to have much time this month to do updates (other than on Facebook and Twitter and occasionally Pinterest). So, let's be winning, Alien Separation reading, signing and con attending readers out there. Peace out, my li'l gangstas, and I'll catch you on the flip side!